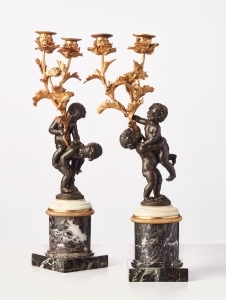 Charles Du Tetre a Paris . 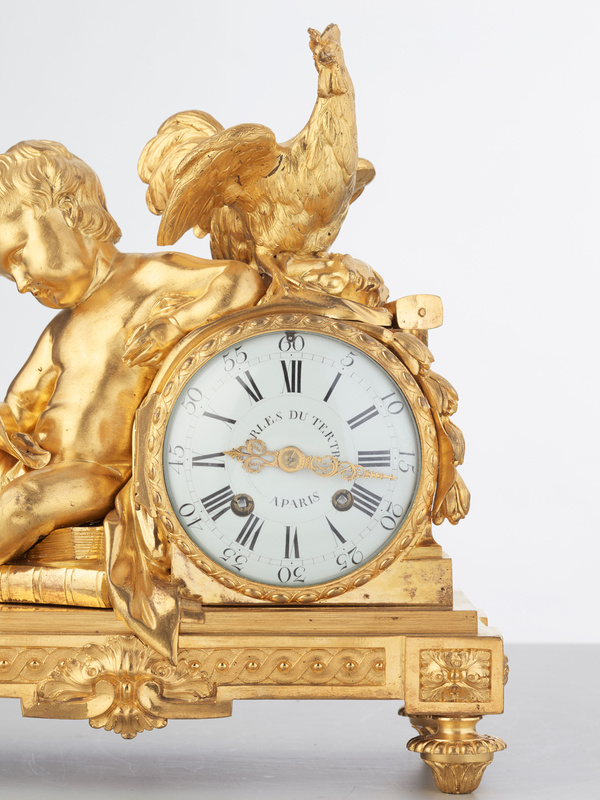 One of the most famous Paris clock makers fom the second half of the Eighteenth Century. Master clockmaker since 1758. 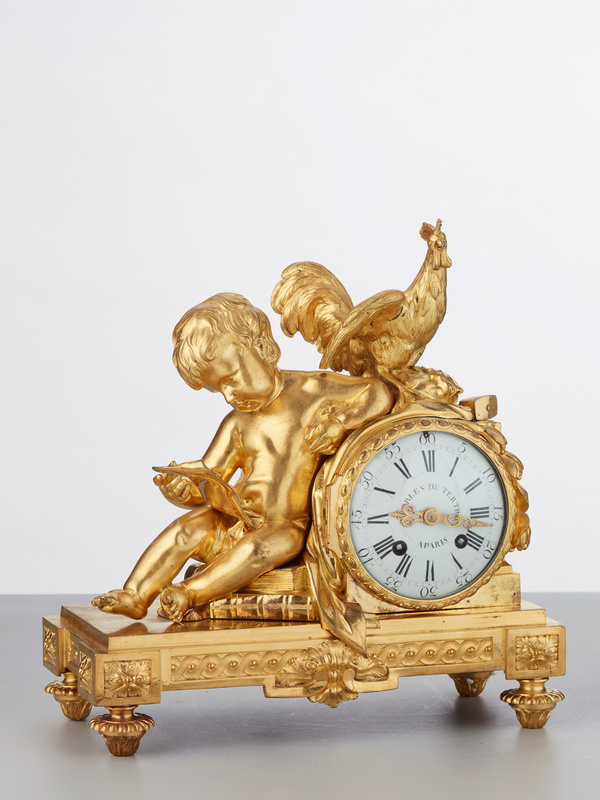 He delivered many clocks to the Royal Family and other important familys. 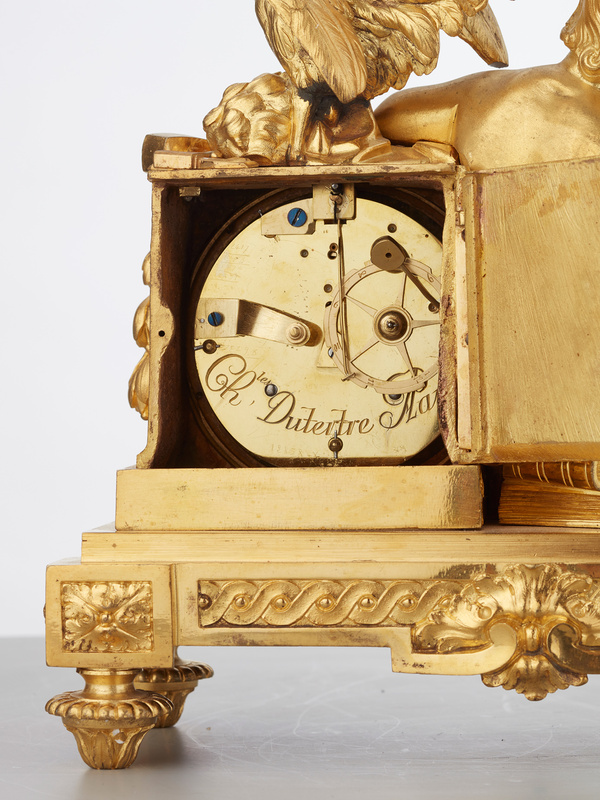 The movement signed on the dial and on the backplate of the movement " Charles du Tetre a Paris" The enamel dial with Roman nr for the hours and Arabic for the minutes. 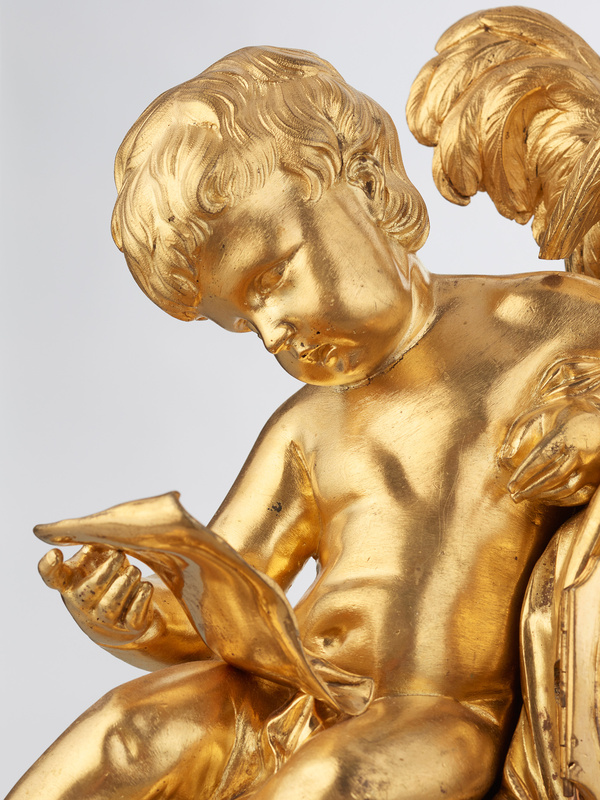 Lovely gilded pierced hands. 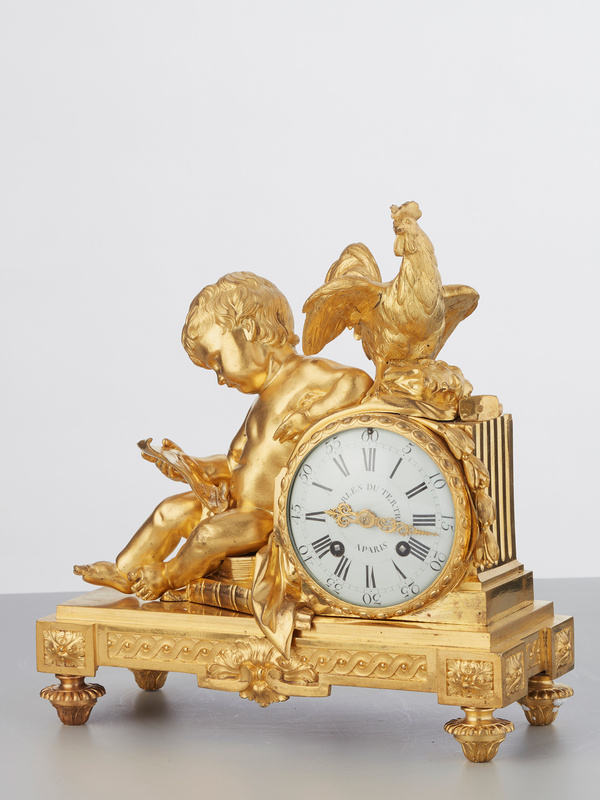 The 8-day striking movement with countwheel and silk threat suspension.The very populair design of this clock was very fashionable and typical from the early period during the reign from Louis XVI circa 1770. 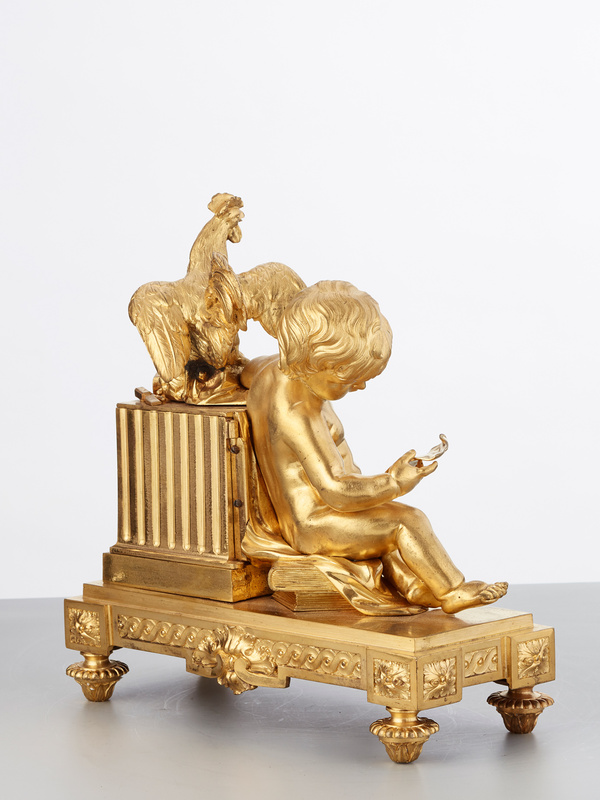 The beautiful fire-gilded case is attributed to the famous workshop Saint Germain.The fire gilded case with the young boy with the rooster. 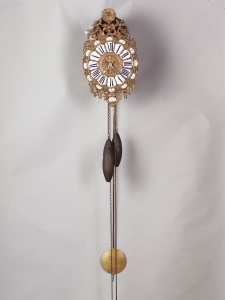 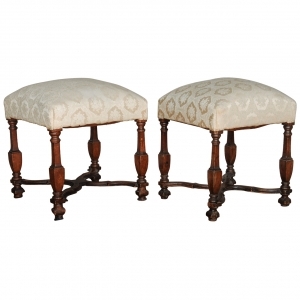 This typical architecturalley inspired design of this clock is characteristic for this period. 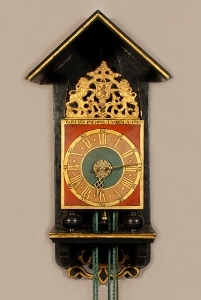 A similar clock in the George Hart Collection. 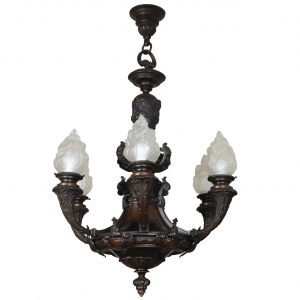 A very heavy bronze, late 19th century, 6-light chandelier of very good quality.